Big news on the old blog today. 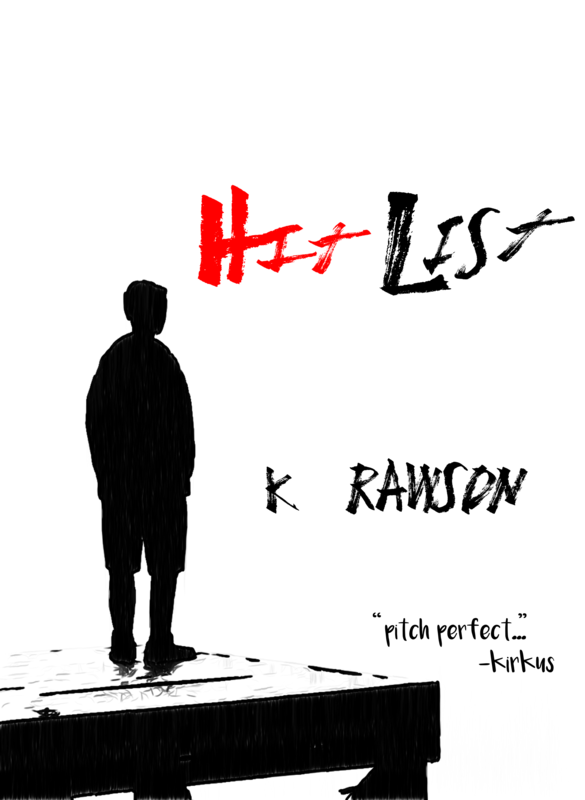 First, I’m happy to share the first official review of my novel HitList, by Kirkus. An impulsive high school cyber-prank spirals dangerously out of control in Rawson’s visceral, compelling debut YA novel. Barton High, in a fancy Chicago neighborhood, is a typical school full of freaks and geeks, and senior Quinn Cotti belongs to the latter category. Despite a strong aptitude for computers, her socioeconomic status ensures that she can only make it to her dream school, the Massachusetts Institute of Technology, with a scholarship. Unfortunately, that passport to success may be in danger. In an impulsive move, she once had a drunken sexual fling with her longtime crush—a dreamboat named Jake Vanadel. Now, it appears that Jake has posted their encounter on HitList, an online site that lets kids brag about their “scores.” After other men also put her on their lists, she finds that her school reputation has changed to one of promiscuity. Determined to take revenge, she unleashes a computer virus that hacks her fellow classmates’ social media accounts and posts their unsavory material online. The virus, however, takes on a life of its own, spawning unintended consequences that affect a host of Barton students, including, among others, the slimy Eli Edimas, son of a high-powered attorney; and Cameron Price, a bullied gay kid. As Quinn and Jake try to contain the damage, they come to know the “thorny fact that lies and truth have equal weight,” and that honesty may be the only way out of the mess. The novel’s characters seem to be cast from a standard high school playbook, and, as such, they often stick close to stereotype. That said, the story scores high marks for its taut pacing and for Rawson’s pitch-perfect ear for teenage talk. It also clarifies the nuanced nature of cyberbullying, in which distinct definitions of perpetrators and victims are difficult to come by; after all, Quinn may have unleashed the virus, but her actions also ring true for someone who’s been publicly shamed. A precise portrait of the teen zeitgeist that reassures readers that, despite indications to the contrary, the kids are all right. The official release date of my debut novel will be July 2, 2015. The ebook is currently available at Amazon for pre-order. And hey, if you’re interested in obtaining a free review copy of my book, please provide your email via my contact form and let me know what format you prefer: print, kindle, EPUB or PDF. Thanks to everyone who stuck by on on this journey! That’s splendid! You rule. Kirkus is tough, too. Can;t buy their love. Congrats. Very positive review, and probably won’t be the last.